Americans are bombarded by thousands of commercial messages everyday in the form of bouncy jingles, television commercials, and even printed advertisements hanging on bathroom stalls. Advertising agencies have launched a commercial war, using outrageously clever ideas and exhaustive market analysis to captivate the attention of a consumer for a mere sixty seconds. In a sense, working in advertising is like throwing a message in a bottle out into the ocean, hoping that it will reach the right destination. It is quite an enigma then why anyone would want to work in such a challenging, finger crossing, and stressful industry. For those inside the industry, the answer is simple: advertisements shape the way people act, think, and dream. Producing an advertising campaign is an extremely elaborate process. 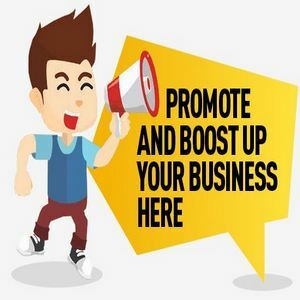 Advertising agencies are responsible for understanding the objectives of a company, transforming that into an idea that will persuade consumers to buy the product, and then finally choosing the appropriate media to communicate that message, a three step process described as strategy, concept, and execution. Due to the complexity of this process, advertising professionals assume very specialized roles that fall into two very broad categories: creative and business. In the creative service department there are copy writers, graphic artists, photographers, and film makers who work together to conceptualize, plan, and produce an ad. Production is a great department to work in for creatives looking for entry-level positions that will allow for a good amount of networking that could lead to other careers in advertising. The other advertising career tracks involved in the business aspect of advertising are account management, media, and account planning. At the entry-level, account managers are referred to as account coordinators, administrative assistants, or assistant account executives. Their duty is to ensure that ads move through the three step process in a smooth and timely manner. At times, these employees are called upon to perform marketing research or travel to assist at client meetings or ad shoots. Account executives act as liaisons between the client and creative departments to ensure that expectations are met and ideas are communicated accurately. From there, the ladder rungs follow as such: account manager, account supervisor, management supervisor, vice president, and eventually director. In the media department, most start off as assistant media planners, a primarily clerical position that involves researching consumer habits and plotting target audiences. Assistant media buyers purchase and monitor airtime and advertising space. From these positions, employees move on to become a media planner or buyer, senior media planner or buyer, media supervisor, vice president, and director. Finally, account planners conduct insightful focus and research groups in an attempt to qualify and quantify consumer buying habits. Despite this highly efficient, organized, and specialized structure, nearly half of all advertising professionals worked more than forty hours a week, spending many extra nights and weekends in the office or on business trips. Insiders say the long hours are balanced by a fun, hip, and exciting work environment that allows employees to wear jeans on a normal day, bring their dogs into the office, and even play foosball to spark inspiration. It’s not hard to see then why the advertising industry is so popular amongst college graduates. Unfortunately, the market is extremely competitive and employers seek those that are creative, self-motivated, detail-oriented, great with people, culturally aware, resilient to stress, and analytical—and those are just the personality traits. Applicants are also expected to be experienced teamplayers, knowledgeable in marketing strategies and research, aware of rising technology, and accustomed to handling multiple projects and deadlines at the same time. Advertising training can be acquired through a bachelor’s degree in liberal arts, preferably advertising, journalism, public relations, literature, sociology, philosophy, or psychology, with coursework in marketing, statistics, economics, accounting, mathematics, and creative design. Obtaining an internship in the field will provide you a distinct market advantage and some in-agency experience. Although creatives are hired on the basis of their talent, most jobs require at least a two year degree from an art or design school, demonstrated communication skills, and a portfolio of mock advertisements. For midcareer professionals looking to enter the business, expect to start from square one and, in general, be prepared to jump from agency to agency in order to advance. The upside is this: advertising budgets are on the rebound as more companies begin to feel the strain of advancing global competition. It is projected that the advertising industry will increase faster than the average until 2012. This is good news considering that if you play your cards right, getting into the industry will not be as daunting as it once was. However, be prepared for less than encouraging paychecks. Most advertising professionals start off at around $30,000, but quickly move up with the success of their campaigns. The average advertising manager in the industry makes around $70,000 a year and the top ten percent make over $145,000. Look forward to a lot of upward mobility and a far from monotonous advertising career.